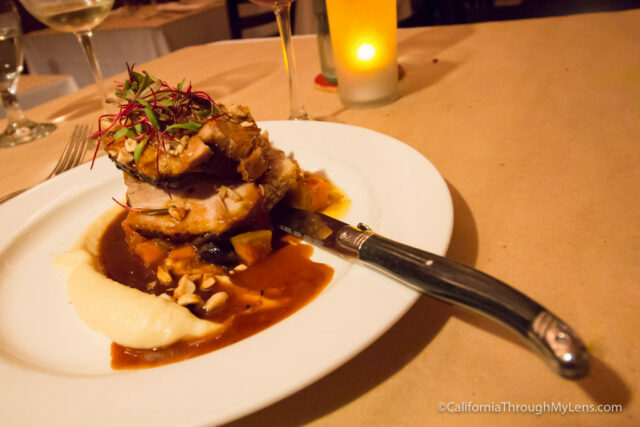 As far as fine dining goes in Santa Rosa, it is hard to beat the amazing Bistro 29. 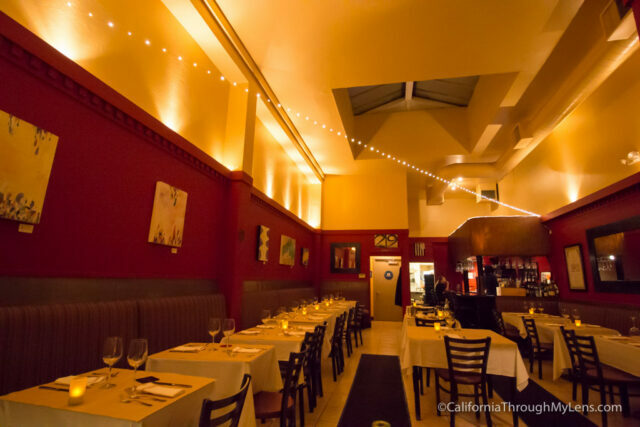 Located right in the heart of downtown Santa Rosa, this upscale French-inspired eatery has a quaint, warm atmosphere and it serves fantastic food ranging from mussels and buckwheat crepes to pork belly and scallops. 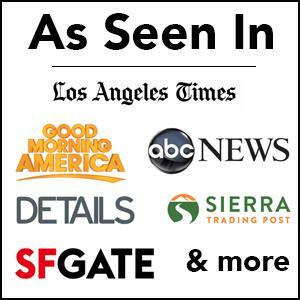 Be sure to grab a reservation next time you are in the area and read all about it below. 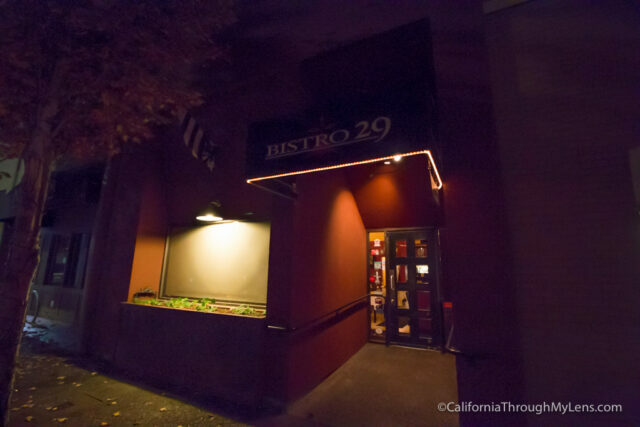 Bistro 29 is located on 5th St in downtown Santa Rosa. It is only a few blocks from the famous Russian River Brewery, and there is parking along the street and in designated parking lots for the downtown businesses. The restaurant itself is relatively easy to walk by as it blends in with the surrounding buildings. There is a large window though that lets you peak into the main dining area and marvel at the dishes. The small one room building seats about 15 parties and we got a seat next to the window after making a reservation. The menu has a lot of options, and it can be a little overwhelming when you first sit down. Our waitress was great providing recommendations, letting us know when we ordered too much and helping pair wines with the dishes we selected. 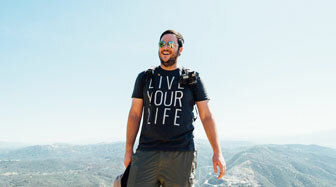 It was an excellent experience from start to finish. 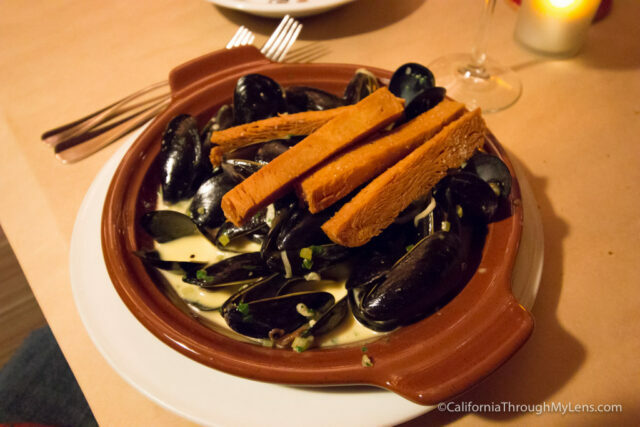 The mussels here are prepared four different ways, and they are always trying to think of more. I chose the Pernod cream way which came with a shallots garlic and cream sauce. The portion of mussels was very generous, and it was flavored well. The sauce is savory and the light garlic and shallots swimming in it continue to flavor it as you eat. The garbanzo bean Panisse Frites on top were a standout as well, as they were almost like a homemade crouton or a high-class French Fry which was fantastic. This is a great appetizer for two people to share, it has a ton of flavor without being too filling. 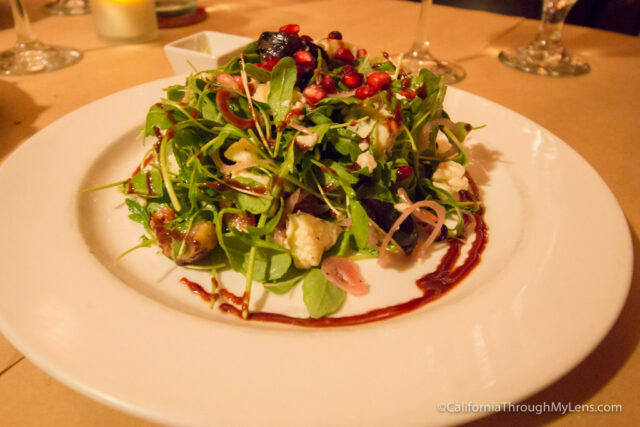 A fantastic salad that gets better as you eat it. The fresh arugula pairs well with the strong blue cheese and the sweet fig. It’s a nice way to start the meal as the flavors have than out and compliment each other. I love when a salad starts the meal on a high note as this one did. It’s hard to beat pork belly for me, and this dish was no exception. The pork belly practically melts in your mouth as you eat it. It is not prepared the typical way, which is a more seared selection of meat, this is more of a pot roast style, and it is fantastic. It is served on a bed of roasted pumpkins and local figs which add a unique taste to the meat. I especially like the way they prepared the pumpkin as it is much different than I would expeted and it accentuates the savory and salty meat well. 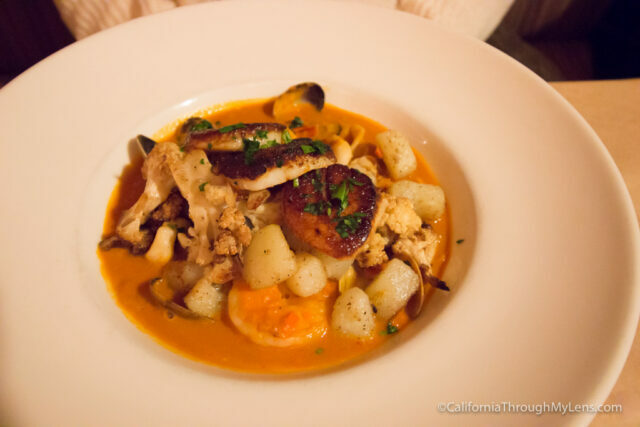 This dish features seared scallops with clams, calamari, and prawns cooked in a lobster cognac sauce with potatoes and caramelized cauliflower. The sauce is sweet, and it pairs well with the seafood. It is more of a reduction then the stew type sauce you would expect with this dish. The potatoes and cauliflower are a nice little break from the seafood, and it helps to neutralize the palette as you continue to eat. Often a stew dish like this is not prepared in a way that lets you taste the individual differences between the seafood as you eat but this was not the case for this one. My wife was very happy with her choice. Light and airy cake with a toffee sauce and fig compote on top. I love fig already, so I was in love with this. It’s sweet but not rich like chocolate cake is. 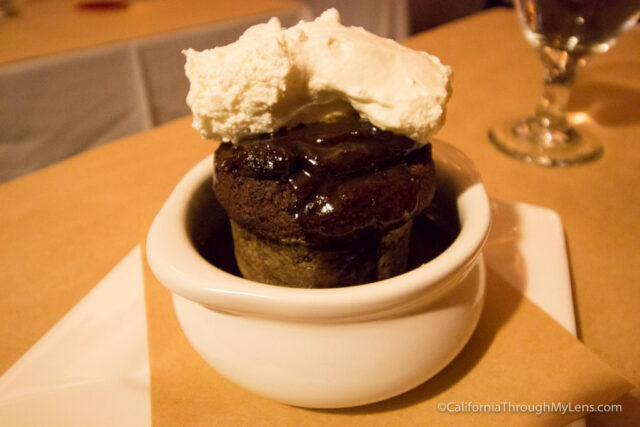 It was the perfect way to end a fantastic meal, especially when you used the cake to soak up the decadent caramel sauce. 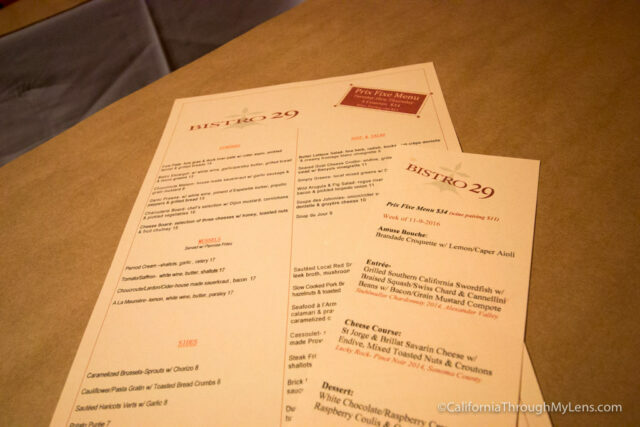 All in all Bistro 29 is probably the best meal I had in Santa Rosa, make sure it’s on your list and let me know what you think in the comments. Disclosure: This meal was provided for me, but all opinions are my own.